The complexity of networking infrastructure will vary according to the number of connected devices. it can be used in long-range communications, like connections between ISPs. Public key encryption is a type of asymmetric encryption. Encryption and decryption use a different key. Client software is usually required to be able to access the network. Remote access VPNs support the needs of telecommuters and mobile users. 16 What is the protocol that provides ISPs the ability to send PPP frames over DSL networks? 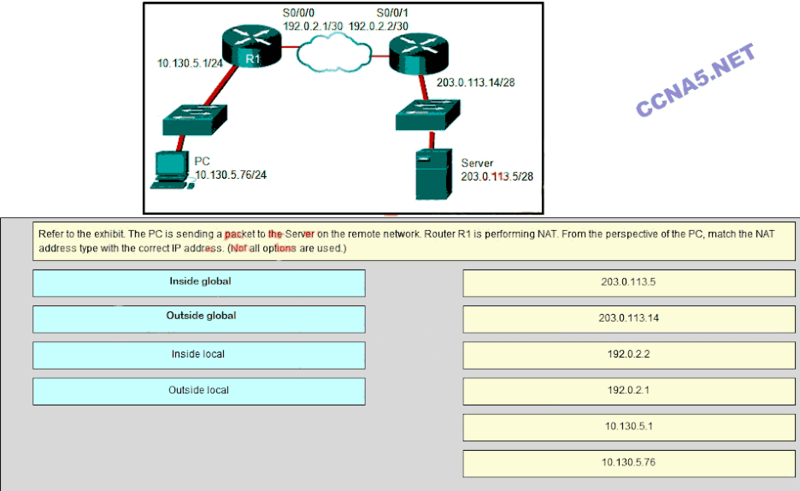 17 What is required for a host to use an SSL VPN to connect to a remote network device? A web browser must be installed on the host. The broadcast keyword has not been issued. The NAT inside source command is referring to the wrong ACL. 20 A company connects to one ISP via multiple connections. What is the name given to this type of connection? 23 Which IEEE standard defines the WiMax technology? The physical circuits of the Frame Relay network are shared between subscribers and there may be times when unused bandwidth is available. 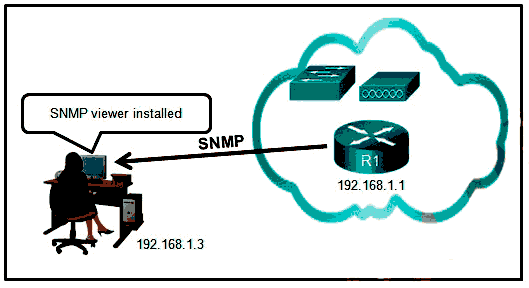 The NMS must have access to the MIB in order for SNMP to operate properly. The download rate is faster than the upload rate. Traffic is allocated bandwidth across a single wire based on preassigned time slots. Data capacity across a single link increases as bits from multiple sources are transmitted using interleaved slices of time. The service provider for the branch office should troubleshoot the issue starting from the point of demarcation. 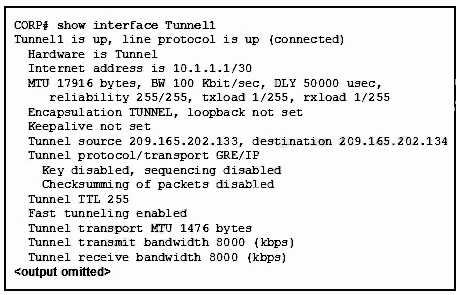 GRE tunnels support multicast traffic. GRE creates additional overload for packets that are traveling through the VPN. By default, GRE does not include any flow control mechanisms. Host H1 does not have a default gateway configured. The frames are marked with the DE bit set to 1 and are most likely dropped. Server applications are housed within the phisical corporate network. Users connect their own devices to the corporate network. Data types include data, and video. It provides better service for VoIP and video conferencing applications. The MAC address is not used in the address field of the point-to-point frame. 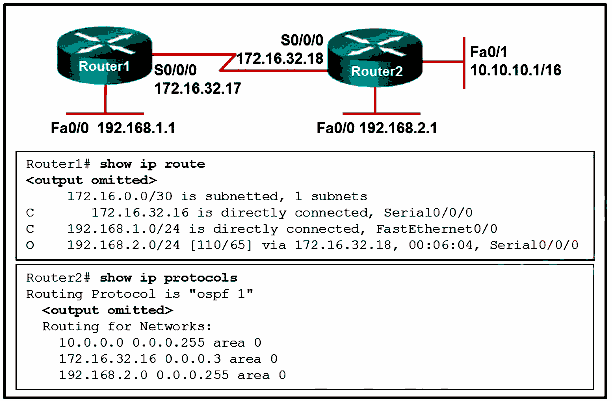 NAT can provide application port-level multiplexing in order to conserve public IP addresses. 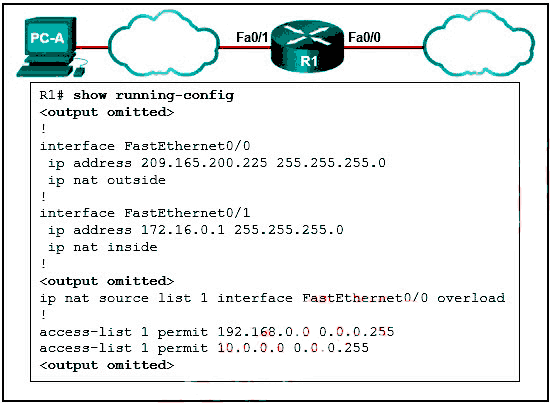 NAT provides stateful packet filtering features similar to a firewall.